We have a little secret for you! You have a new favourite drink, and its name is ‘kombucha’. This non-alcoholic beverage (cue gasps of shock, yes, booze-free – but stick with us) is full of flavour, and a refreshing alternative to the run-of-the-mill wine and cocktail list available at your local. We sat down, and started with a Silver Needle Kombucha Bellini (both alcoholic and non-alcoholic available). We (naturally) opted for the alcoholic version and were pleasantly surprised by its sweetness – the kind of drink that is perfectly suited to long, drawn out conversations about nothing in particular. We had seen food going out to other tables and were eagerly awaiting the first course: Beetroot, Beetroot and More Beetroot. This was centred, surprisingly, around beetroot – but not as you’ve had it before. This was almost a pre-dinner sweet, with a base of a crunchy, caramelised toffee-like beetroot, with a soft centre. It was perfection. It disappeared in two bites, my mouth still confused at how beetroot had been turned into such an elegantly sweet dish. Then swiftly afterwards, we were a served a salt cod dish, which was perfectly matched to counter the sweetness of the beetroot. The second course was a delicate cold crab, apple and dill dish, served with a Jasmine Tea Kombucha. The flavours in this, were at once, both complex and complementary. 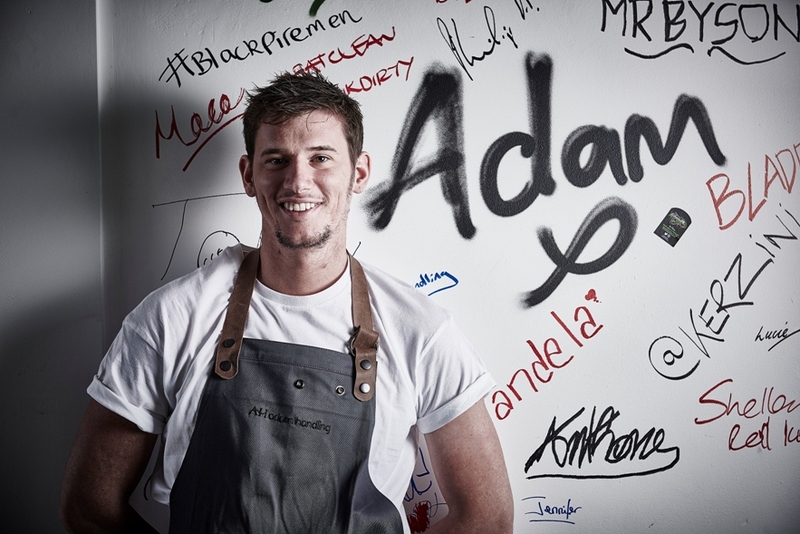 The chef, Adam Handling, was setting expectations very high quite early. Third up we had hake, limestone and tarragon, paired with a flowering tea. I love a flowering tea, if only for the aesthetics alone, and once again was chosen to perfectly accompany the meal. The food itself, again, stunning. One bite into this dish and I vowed to start using tarragon in my own home cooking! Course four: lamb, artichoke, sour cream and garlic, with an assam consume. This was a show stopper for me. As an Australian, I am a fierce lover of lamb, and very particular about how I like it. This ticked all the boxes. The Assam Consume was also a very interesting tea pairing – think gravy, or stock, with an assam aroma – like nothing I had really tried before. Which, at the end of the day, is what the diner is usually looking for in a tasting menu like this one. Dessert was a dish of contrasts: burnt honey, toffee, malted milk, which was all at once sweet and mild and creamy and crunchy, but most of all, comforting. Accompanied by a deliciously sweet and refreshing Rooibos Fruit Kombucha that, despite the grey weather outside, instantly transported me to a beach-front terrace somewhere. This all finished with a refreshing cup of peppermint tea, soothing our stomachs and taste buds after the rollercoaster they had just ridden. You might still be sceptical about this fermented tea creation, but as they say, tasting is believing- so get yourself down to The Frog E1 and try the Kombucha and Tea Pairing Menu, £45, and treat your taste buds to a completely new sensation. This menu is chock full of flavours you won’t be completely used to, and some old favourites completely reimagined. The whole meal was at once complementary and contrasting, and the attention to detail (down to the exquisite glassware) further adds to the whole experience.